It also doubles as a desk organizer. Tired of hunting for open outlets, or wires cramping your desk space? 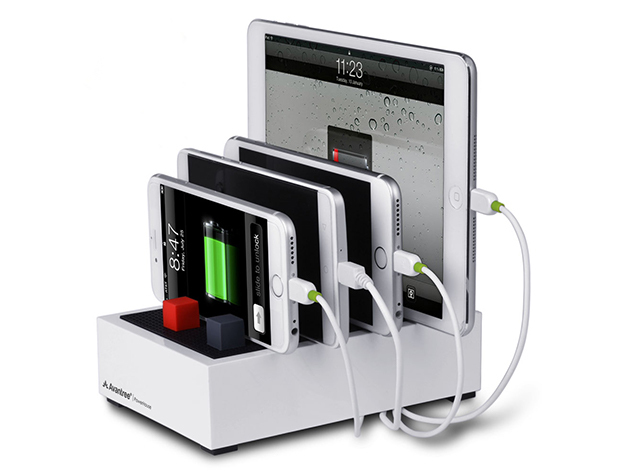 Not to worry: the Avantree PowerHouse Charging Station will power up to four of your devices in one neatly organized place. This powerful charging dock offers four USB ports that boast a powerful 4.5/22.5W output. You’ll benefit from the Avantree’s built-in smart port technology, which senses how many amps are needed to charge each device and calibrates your charges accordingly. In other words: say goodbye to device blowouts. Multiple device types? No problem — the Avantree has smart compatibility with iOS and Android. And the Avantree doubles as a desk organizer with its space-saving design. Just vertically slot your devices into the charging dock, and they’ll stay neatly out of your way. Plus, with its innovative velcro system, you can manage and hide any cables to keep your desk clutter-free. For a limited time, you can get the Avantree for just $35.99, or 28 percent off MSRP, from the Daily Dot store. Free shipping to the Continental US is included with your purchase. Buy it here.